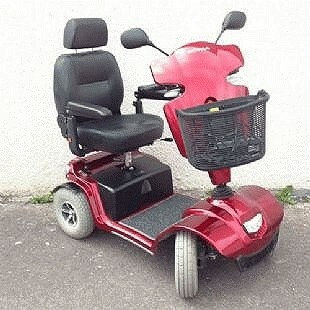 WDP have identified an urgent need to add bariatric models into our Shopmobility fleet in response to user demands. The current models in the fleet are able to cater for a max weight of 35st but recently the scheme has had to turn people away who exceed the weight limit. Dave Thompson, co-founder and chief executive of the WDP, believes that the mobility scooter market has not kept pace with increasingly heavier users. The cost of repairing the services fleet has amounted to around £2,000 recently, which has come as a result of scooters being damaged when people exceeding the 35st weight limit have used the equipment. Were putting a call out to any organisations, individuals or businesses for small donations to make this happen. A lot of people are actually overweight because of medical conditions or musculo skeletal problems. This will enable these people to maintain their social networks, to allow them to go to pay a bill or just to do their shopping. We need to raise £6,000 to make sure everyone who needs a Shopmobility scooter can have one. Please call Dave on 01925 240064 if you can help. Due to weight limits a standard scooter cannot be used by some disabled people.